My parkrun journey this week took me back to the seaside with a trip to Walmer and Deal. This is a bit further than I would normally travel for a parkrun, over 100 miles, but the thing is, I wanted to tick off all the parkruns in the south east, so I would have to make the journey eventually. Also I wanted to get there before Brexit turns the M20 into a massive car park! Walmer and Deal are two adjoining communities on the Kent coast, about ten miles north of Dover. This is the part of England that is closest to France, indeed you can see the coast of France on a clear day and therefore the point where people tend to cross the channel. It is widely claimed that this is where Julius Caesar landed with his army in 55 BC. In modern times the coastguards are having to watch out for rubber dinghies full of illegal migrants! Deal has a history as a port dating back at least as far as the Middle Ages. It flourished as a limb port of the Cinque Ports and was, for a time, the busiest port in England. The Warden of the Cinque Ports kept an official residence in Walmer Castle. Many distinguished people have held this post including the Duke of Wellington, who died here in 1852. If you are at all interested in castles then this is the stretch of coastline to visit. Apart from the massive castle overlooking Dover there are castles at Sandwich, Walmer and Deal. Deal Castle was built under the orders of Henry VIII and is one of the finest surviving Tudor fortresses. This was always an area that needed to be guarded against foreign invasion. In 1495 the pretender to the English throne, Perkin Warbeck, landed here with his supporters but was seen off by forces loyal to Henry VII in the so called Battle of Deal. In the nineteenth century Deal’s status as a port declined while its rivals, such as Dover and Ramsgate, grew in importance but it did develop a second life as a seaside resort. 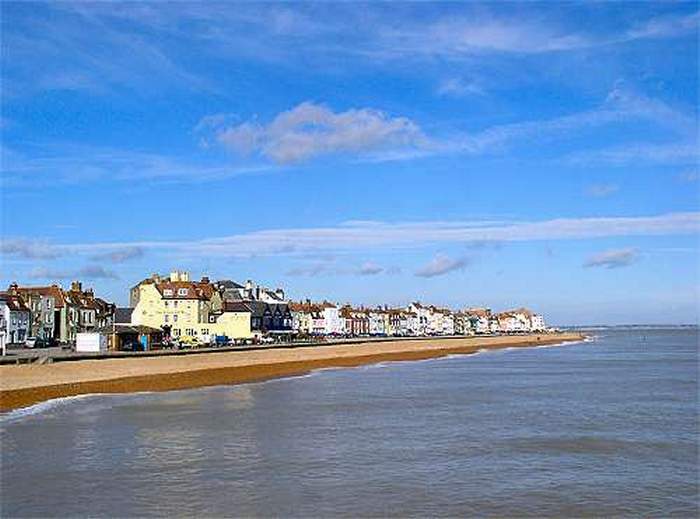 I don’t know who would go to Deal for their holidays now but the place has some things to recommend it ... some bracing sea air, a long shingle beach and some quaint olde worlde corners of the town centre. 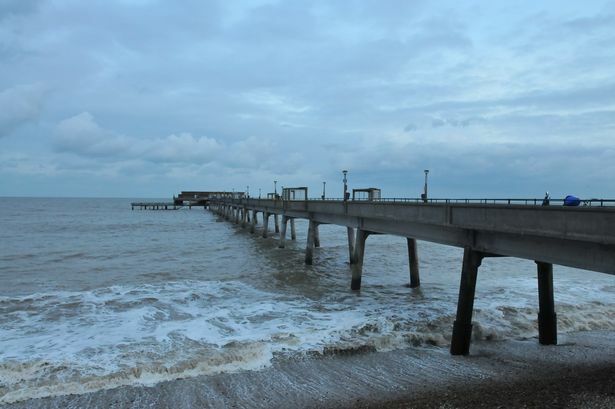 Deal High Street was recently awarded the title of best High Street in the UK by the Daily Telegraph, thanks to its variety of independent shops https://tinyurl.com/y8t6lbh5 Deal also has something which all other seaside resorts in Kent have long lost ... it has a pier! The current pier is actually the third structure to bear the name. It was built in the fifties out of concrete and steel and survived when many of its wooden rivals burnt down. The parkrun course is an out and back along the path which runs along the back of the shingle beach. You start in the Walmer beach area then run northwards for about a mile, past the point where Julius Caesar landed, past the imposing bulk of Deal Castle, then turning round in front of the pier and returning the same way. You come past the start area and then run southwards for about a half mile, turn round and finish back at Walmer beach. It’s flat and on firm paths so, provided a seaside gale isn’t blowing, it should be a reasonably fast course. Walmer and Deal is a fairly new addition to the parkrun family - today was run number 22. It has proved popular and has attracted a growing number of runners - 200 starters today. We were fortunate with the weather. After a bitterly cold week, it was relatively mild this morning. There was a light breeze blowing along the seafront, not the gales you normally get. I was hoping for a decent time today so I set off quite briskly. With the breeze behind us we were moving quite fast and I passed the 1K mark in 3:45 and then 2K in 7:30. At the turnaround by the pier I was in third place. The first two runners were only about fifty yards ahead of me and I wondered if I might catch up to them on the return leg. I couldn’t. The breeze was now in our faces and I slowed slightly over kilometres 3 (3:55) and 4 (4:03). I did manage to pick up the pace again on the final kilometre though, with the breeze behind me again. I did a 3:45 for the final kilometre which brought me home in 19:13 and third place. I was happy enough with that - it was my best time and position so far this year. The Walmer and Deal course is the type that suits me well, largely flat and on firm paths. I also quite liked the town of Deal. If I was planning to move to the Kent coast, this would be a pleasant place to live. My statistics for today - that was parkrun venue number 193. I was first in my age group, first overall on age graded scores and I set a new age category course best. I shall finish, as usual, with a video of the course. If you’d like to see Walmer and Deal for yourself - here you go!